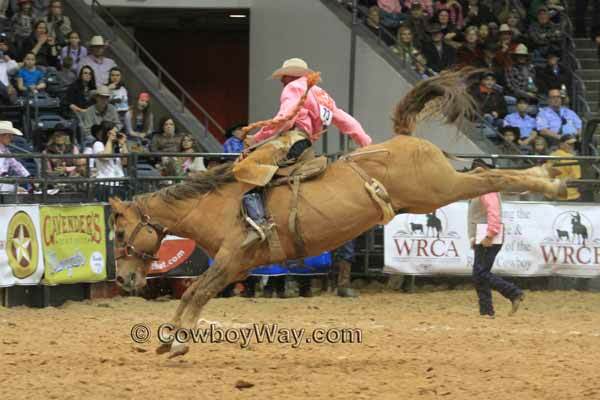 Photos From Friday, November 07, 2014. 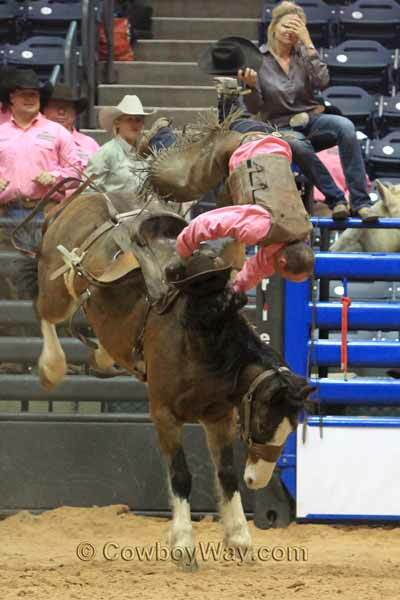 Taken at the World Championship Ranch Rodeo (WCRR) in Amarillo, TX. 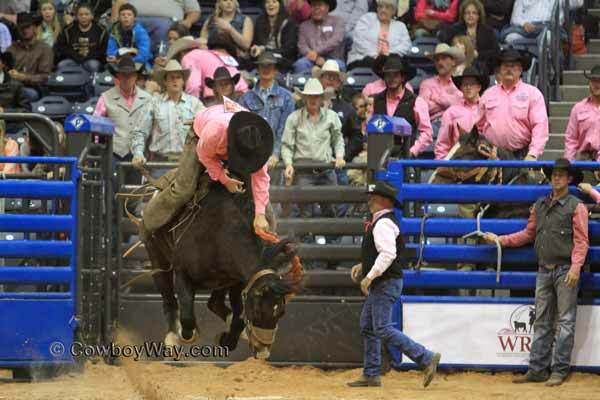 Team: Buford Ranches / Craig Co.
After the bronc gave Daniel a rough start (see photo above) it took several jumps for it to begin bucking well. 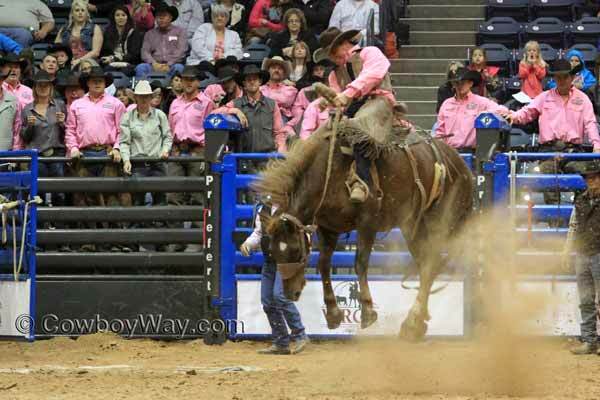 Once it did, it had a wild and strong finish and Daniel made a convincing, qualified ride. 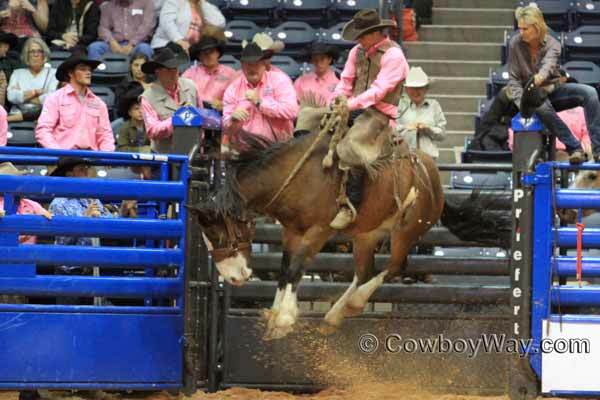 However, since the judges felt the horse underperformed at the beginning they offered the Scribner Ranch team the option of a re-ride. 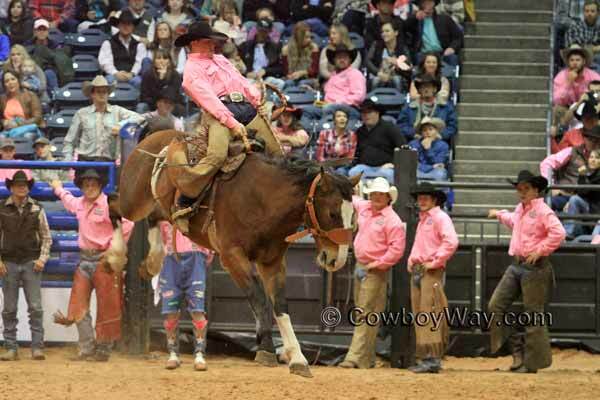 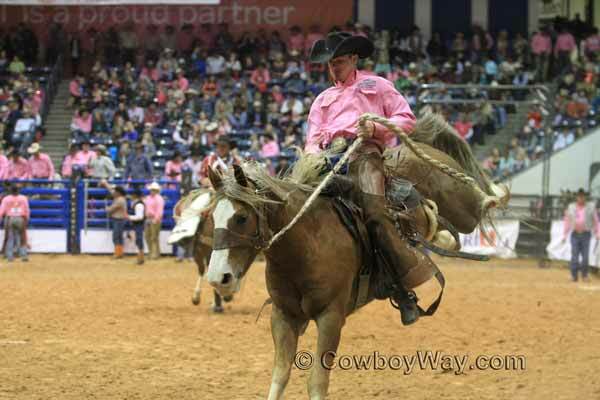 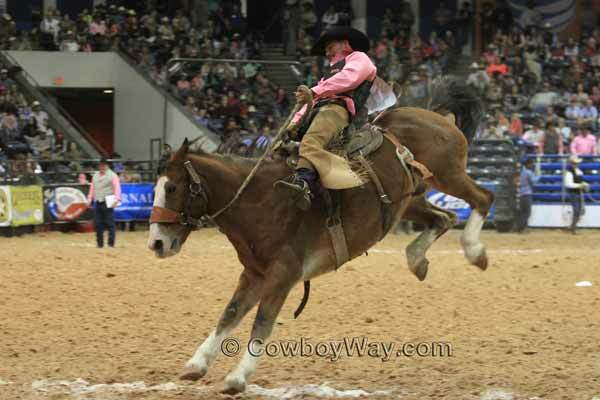 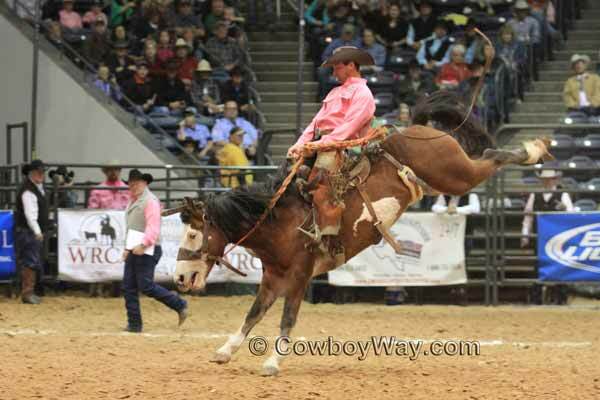 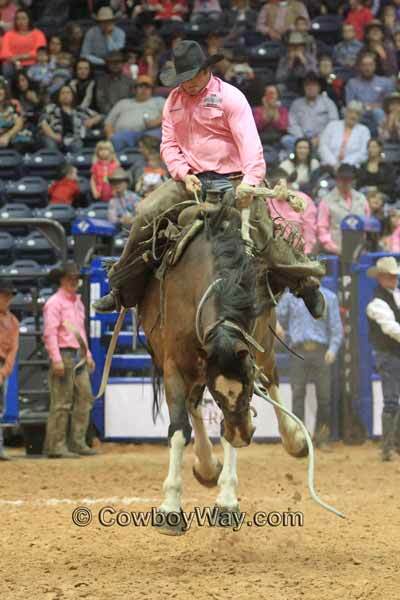 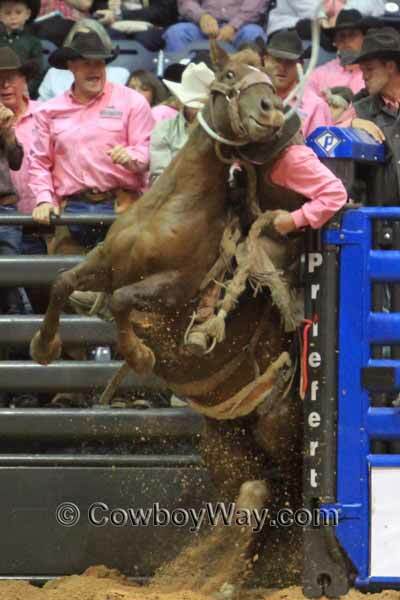 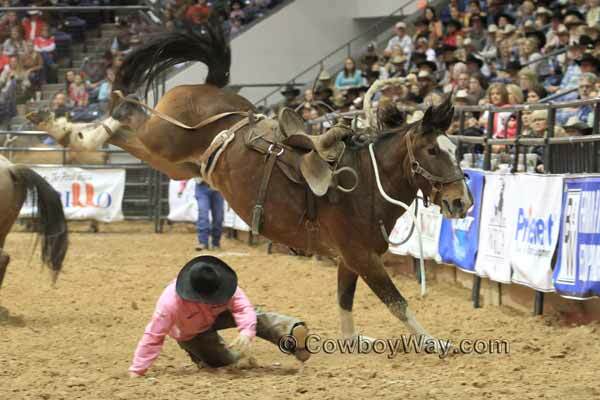 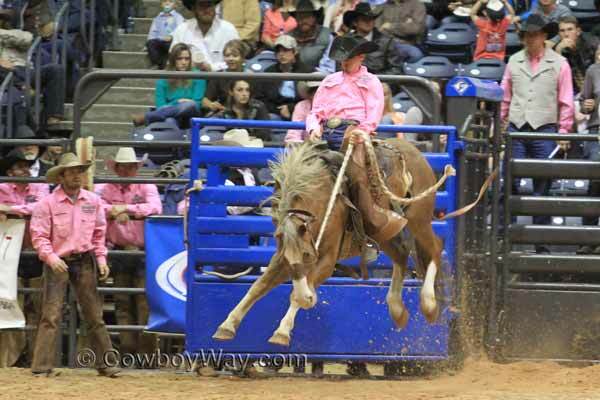 They accepted, which is why you can see Daniel in the next photos on a different bronc.